Pinot Noir is one of my very favourite grape varieties. It’s a tricky grape, though, and finding good affordable Pinot can be a challenge. 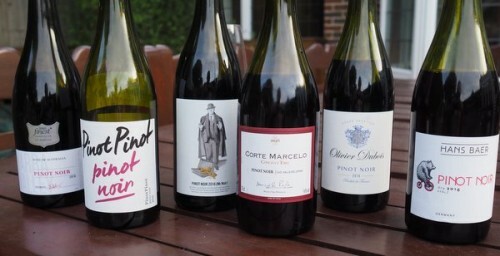 So I tried six inexpensive Pinot Noirs on camera, and gave my robust, honest opinions of them. Great post! Good to do affordable wines that are easy to find, from time to time. Cheap Pinot – good topic too. Bet it would have been way harder 10 years ago. Nice to share some time with you tasting Pinot Noir (and fashion consulting). Thanks.